The Trout lily flower opens only in full sun and closes each night. 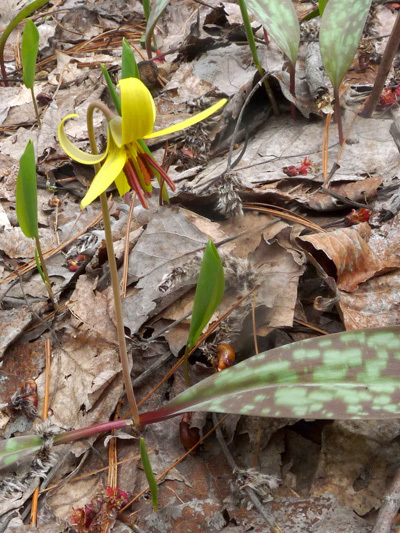 Trout lily is a ephemeral spring plant which aboveground parts live for 40 to 50 days. All green parts must develop before the leaves from trees hides the sun .. The Trout lily is slow growing, the plant produces a leaf after three years, and seven to ten years elapsed before it can bloom for the first time.